While the Eurostar trip from St Pancras International to Gare du Nord will be getting some upgrades over the next year or two (including some new restaurants, like the Éclair de Génie and Five Guys), there’s no reason to wait that long to take a trip to Paris. Here are a few tips for how to do a weekend in Paris like a true local. You don’t want to waste your time in the City of Light underground in the Metro. It can take days to sift through hotels and Airbnbs, so booking a luxury apartment at Paris Perfect is a great idea… if you’ve got the ducats. Their brand-new location on Île de la Cité, in a gorgeously renovated 17th-century building, is as central as it gets, and there’s always someone in the lobby to answer any questions you may have. The apartment living will set the tone for a relaxed weekend, away from crowds and lines, allowing you to really soak up the Paris lifestyle. Try to reserve a table at Semilla, a few blocks south from the Île de la Cité. The menu changes often, but just go for the tasting menu, so you can let the chef decide what you need to eat that night (this is Paris, after all -- chef knows best). Afterwards, stroll the banks of the Seine, across Pont des Arts, for a view of the Eiffel Tower, which sparkles on the hour. Try a classic French bistro dinner at A la Biche au Bois or Chez Paul down by the Bastille. Sure, you’ll rub elbows with tourists, but locals still love being able to get French cooking like grandma used to make. Finish off the night with a drink at any nearby café terrace that is still open, and watch the Parisian night owls heading home. Head for coffee at Caféothèque, just behind City Hall, and pair it with an exceptional chocolate croissant -- or even one of its gluten-free cakes. We swear, these won’t leave you nostalgic for the days when wheat wasn’t considered practically poisonous. While Paris is full of gorgeous museums, you may want to take an hour or so to duck into the lesser-known Musée Cognacq-Jay. This 16th-century mansion houses the private collection of a 19th-century mogul. Entry is free, and it’s always virtually empty. Stroll the Marais and its tangle of boutique-lined streets. For shoes, check out Faguo, a French company that makes both men’s and women’s footwear. Every purchase means a tree will be planted by the company somewhere in the world, so your shopping trip is basically charity. Next, head to the Upper Marais for the unique perfumes at Liquides, where different artisanal fragrance makers sell their wares, like the young creator behind Les Eaux Primordiales. Head to their “perfume bar” to test out many high-quality scents. Stock up on spices after heading to the well-known culinary hub Thiercelin. This aptly named sniffing bar allows you to get a whiff of the many herb and spice mixes, like the exotic 1001 Nights, or tonka beans. Pop into the confectionary world of Jacques Genin to sample his amazing chocolates, and other sweet creations. His salted butter caramel -- especially the one with passion fruit -- is a must-try. Stay for a coffee and pastry if you have some time. Before heading back to the Gare du Nord, stock up on a bottle of wine (or two) from one of the bottle shops open on Sundays. Stroll westward from the Centre Pompidou, under the newly reopened Canopy at Les Halles before heading north up rue Montorgueil. Check in at either Le Repaire de Bacchus or Nysa, both open on Sundays. It’s worth seeking out the Marché des Enfants Rouges off rue de Bretagne in the Upper Marais: this old, covered market houses a mix of international cuisines, including North African, Italian, and Caribbean food. Check out Chez Alain, where patience is rewarded with phenomenal crepes and sandwiches. Have a light lunch (maybe one of the excellent croque monsieurs) on top of the museum at Georges, soaking up the magnificent views of the city. You can take the external escalator -- akin to a hamster tube -- all the way to the top, where both indoor and outdoor seating is possible. In the afternoon, avoid the tourist traps and live the life Parisian: if it’s a lazy day, stroll the Canal Saint-Martin, and sample coffee at Ten Belles or Radiodays. Or give French coffee a break, and try the Portuguese offerings at the brand-new Donantonia pastry shop, including a custard-filled pastel de nada. If there’s time, pick up a few eclairs or other pastries from Stohrer, the city’s oldest existing patisserie. Try the baba au rhum, which was created in the store, as well as its award-winning eclairs. See if you can make them last the entire Eurostar journey back, though it’s pretty likely they’ll be gone by the time you exit the tunnel on the UK side. I'm currently pregnant with my second child, and as I near the third trimester my thoughts are turning to the big event that's coming soon. Yes, I'm talking about labour. It was when I bought and downloaded an app for my ten month old baby that I first realised that we were firmly in the parents who embrace tech camp. Unlike many people who had a strict ‘no tech’ rule for their babies (those poor mites who were being deprived of Mr Tumble!) we – rightly or wrongly – introduced our little one to CBeebies on the telly and a cutesy Fisher Price app on my phone, before she even turned one. But then, considering Mr P and I have always been quite into tech ourselves – from buying cutting edge gaming equipment to getting the latest smart phones and getting excited over buying a smart TV – it’s no surprise that we would embrace it as parents too. And of course, with that decision comes huge responsibility. We’re the first generation of parents whose children are surrounded by tech in such a big way (the worst my parents had to worry about was me spending too long playing Tetris). So rather than blindly embracing it, I think it’s important to have boundaries and rules in place. Get some balance. While we don’t have a set time that we allow our seven-year-old to watch TV or use her tablet, we do monitor it and if we think she’s been glued to tech too long, we’ll ask her to do something else like read or play, or we’ll head outdoors. No screens in the kiddo’s bedroom. This might change when she’s older but right now, we don’t allow her to watch TV or user her tablet in her bedroom. Only age-appropriate games are allowed. We’ve almost come a cropper with this one, because there are quite a few games that seem suitable for the seven-year-old but on closer inspection, we realise they have a chat facility where strangers can play with you and message you. Use parental controls. As well as using safer apps like YouTube Kids, which has filtered content, we only allow the seven-year-old access to certain apps, which means she can’t surf the web on her tablet or message anyone. Also, within certain TV apps, she can only watch U-rated content unless we type in a password. No screens during family meals. This is a really popular rule, amongst families, and it’s one that’s really good to implement early. Meals can be a time where you catch up on the day and talk to each other, rather than a time for being interrupted by notifications or deadlines. Make tech a reward. We used to fall into the trap of taking away our daughter’s tablet as a punishment, but now we try to use it as a reward – so we offer an extra 10 minutes of tablet time if she tidies her bedroom. Some of my friends have a tech reward chart for their kids, where they earn their tablet time every day, which I really like (but haven’t been organised to sort out yet). No password access. At this stage, we don’t give the seven-year-old any password access, and if she needs a password (to watch a PG film, on her tablet for example), then we type it in for her. No mobile phone/social media until the appropriate age. She keeps asking me when she’ll be old enough for a mobile phone, and I tell her that when she’s walking to and from school on her own, we’ll probably give her a basic phone with no bells and whistles (and no social media) to allow her to phone us if she needs to. But right now, she’s too young for a phone. I've been a nanny on and off over the past five years, and I've gotten very close to the families I have worked for. However, it's important to remember that no matter how much we might feellike family, we actually aren't. That means there are lines you shouldn't cross, discussions you shouldn't have, and very clear definitions of what is and isn't appropriate. Congratulations. You have your bundle of gorgeousness in your arms (or, if you’re really organised, two blue lines on the test stick) – and now, the fun starts. Or should we say: ‘fun’. Let’s be realistic here. You are not looking for a nursery to fast-track your sproglet to Harvard. You are looking for somewhere warm, welcoming, stimulating and safe where s/he can learn the dark arts of fingerpainting, triangle-bashing and how to sit still for two minutes without fidgeting. Nursery proprietors are universally charming, but the chances are that you will be hauled in front of them at some point because your little angel has bitten Jeremiah AGAIN. But that’s OK.
Fees: From £1,130 a term. We know describing a good school in Kensington as a 'hidden gem' is an oxymoron, but the Willcocks Nursery is just that. It has a loyal following - a mix of old English families and chic foreigners - but flies under the radar. It's all quite understated. Yes, you should register at birth and yes, there are waiting lists, but fab head Lavinia Taylor says: 'We try our best not to disappoint.' A mother describes it as 'gentle, which is what you want for young ones' - so no wonder Princess Charlotte is starting here in January 2018. They're just by the Royal Albert Hall, so expect jaunts to the museums and the park, as well as captivating talks on things like Shackleton, archaeology or the environment to keep things lively and fun. Kindness is evident everywhere, plus the nursery is a cooperative, so you know staff are in it for the long haul. Boutique-lined Northcote Road is the epicentre of Nappy Valley, so it’s fitting that the Butterfly, tucked just behind, started life as a ‘drop and shop’ crèche for frazzled mothers. Five years later, it’s upped the ante to offer morning, afternoon and some full-day sessions, but numbers have been kept teeny-tiny (max 16 per session) and the vibe ‘wonderfully unpretentious’. Places are highly sought after, but don’t panic: ‘It’s never too late to call.’ Head Mrs Charlotte is an ex-scientist, so expect imaginative messy time; specialist yoga and music teachers are shipped in weekly. Energy is ingested via the scrummy food from the très chic French café next door, then expended through regular runarounds on Wandsworth Common and Friday Forest School: wellies essential. Happily, little ones get a solid grounding in their Ps and Qs – ‘proper handwashing and table manners too’, confirms a mother – before winning coveted places at Eaton House the Manor and Thomas’s. ‘So many strengths that I really don’t know where to start,’ says a mother. Head Felicity Marrian and her daughter Emily lead a ‘remarkable’ team at Iverna Gardens and its sister nursery on Victoria Road – both Ofsted Outstanding. The Iverna Gardens classroom is airy and calm but full of activity – bread-making, construction, sewing, writing, making ‘volcanoes’, poring over books in the reading village – and there’s a large outside space. A yoga teacher visits, they do French on Tuesdays and there’s a tremendously popular Forest School club. Register at birth for a place on the waiting list: this is Kensington... ‘I am going to be three for a long time,’ one small pupil announced to her parents. We know what she means – we wouldn’t want to leave either. Wouldn’t we all secretly like to be Little Forest Folk? To put on head-to-foot waterproofs and burn off energy running amok (under careful supervision) in the woods, climbing trees, building dens, cooking up a storm in the mud kitchen? As a father says: ‘There’s plenty of time for my daughter to be stuck in a classroom.’ These are full-time outdoor nurseries for two- to five-year-olds, with sites in Chiswick, Wimbledon, Barnes and now – in response to huge demand – Fulham and Wandsworth too. They follow the core Early Years curriculum and have a huge amount of fun doing so, rain or shine. Register this very second – their waiting lists are as long as Mr Tickle’s arms. Parents are, says one, a ‘real mix: hippies in organic outdoorsy outfits, corporates off to work in their suits, stay-at-home mums in wellies and lipstick’. A father reports that his daughter comes home full of good advice, such as ‘no picking, no licking’. Useful rules for life, those. They’re a bit of a SW London institution, the Marmalade Schools. First came the Cat (‘the cream of Clapham nurseries,’ says a local mother) and now, three Outstanding Ofsted-rated nurseries later, sparky principal Miss Rozzy has opened the Owl. It’s set in a sunny, modern church hall, and head Miss Linda (who’s hopped over from the Cat; there’s a reassuringly low staff turnover) runs a ‘ship-shape but hugely creative’ school. The vibe is hardworking but ‘not pushy’, our spies tell us. There are daily doses of fresh air and one-on-one focus time to hone the three Rs; Miss Rozzy trained in special needs, so the support network is ‘incredible’. She’s also dizzyingly clued up on prep schools; lots of parents praise her ‘straight-shooting yet supportive guidance’, which reaps rewards: most go on to Thomas’s, Broomwood and James Allen’s Preparatory School. We love that the parents’ events are such a hoot that one still makes the two-hour round trip for book club, years after her children have moved on. We don’t know many nurseries with Latin mottoes, and we suspect Locus Laetus Discere goes slightly over the head of the small pupils at Marylebone Village Nursery School, but its message (‘a happy place to learn’) certainly rings true. Get your child’s name on the waiting list pronto, especially if you’d like them to start before they’re two. They have oodles of space (6,500 child-friendly square feet, under St James’s Church) and are happy to take children for a short time, which suits the international W1 clientele. There’s an inside garden and a stage for school plays; outside, children squelch in the mud kitchen, race round on trikes or frolic on the Astroturf. Organic lunches and trips to the Wallace Collection followed by babyccinos in a local café complete the perfect picture. Manager Miss Veronica has a masters in education, so children leave here well prepared for Big School, which might be Queen’s College Prep or Wetherby. ‘We have been utterly spoilt by the Minors,’ beams one mother. Headmistress Viv Thompson is the star of the show and she ‘understands the guilt’, say parents – being a working mother herself, she is happy to make allowances. Alma mater of Princes William and Harry, who attended in the Eighties, the nursery is now part of the Alpha Plus stable, so relationships with Notting Hill neighbours Wetherby and Pembridge Hall are tickety-boo. Registration is from birth and a visit is essential – ‘You have to go with your gut instinct,’ encourages Ms Thompson. Places are then offered on a first-come, first-served basis with an even spread of birthdays (top tip: get your paperwork in, pronto). It’s all about a ‘have a go’ attitude here, and the little ones bumble around the airy (but cosy) classrooms and get grubby in the mud kitchen and sandpit. ‘My daughter insists on wearing her hair like the teacher,’ says one mother. Imitation is the sincerest form of flattery. Miss Daisy’s nurseries in Belgravia, Chelsea and Knightsbridge are the smart, old-money choice – rather like White’s, but with a younger membership and a more balanced boy/girl ratio. ‘Very British values and principles,’ says a mother, approvingly. It’s reassuringly hard to get in: register at birth – not before – with the nursery closest to you (they like families to be able to walk to school), hand over your (non-refundable) cheque for £150 and cross your fingers. They only offer a September intake, and you’ll hear whether you’ve bagged a place a year in advance. Children start with morning sessions, building up to full days as school approaches. 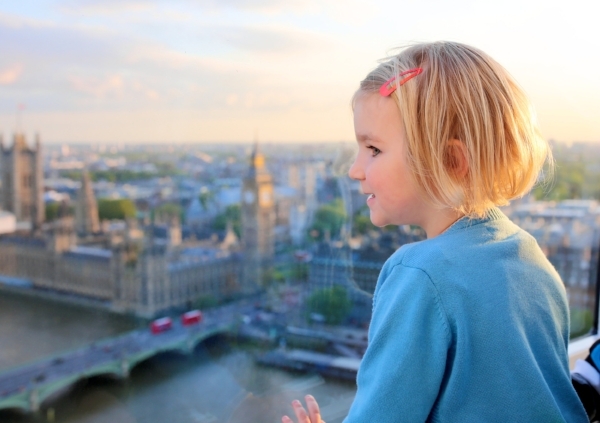 There’s a nice balance between formal learning and play and lots of trips to, for example, the Natural History Museum or Buckingham Palace, at no extra cost. Miss Daisy’s alumni hop on to all the smartest preps in the Royal Borough and beyond – nursery heads have one-to-one meetings with parents to give bespoke advice on schools. NB: Children need to be potty-trained before they start. This Notting Hill favourite has been educating the children of W11 for 21 years and has now set up home in a pristine three-storey lodge house in leafy Avondale Park. There’s stacks of space to roam around in (including the park) and tidy rows of planting beds – we love their ‘garden to fork’ philosophy. Miss Delaney is a big fan of the great outdoors (‘Sharp edges are not my cup of tea,’ she says), so Forest School, hatching chicks and cocooning caterpillars are all squeezed into the timetable. Registration is at birth and a phone call on the day will suffice, but that doesn’t stop frazzled fathers turning up from the maternity ward. There is nohothousing here, and children skip off to Norland Place, Thomas’s Kensington and Glendower equipped with a wide range of skills by their teachers. ‘We’re a local school with local children,’ says head Nina Firkin, and parents just can’t get enough of the quintessential British feel. Though this North Ken Montessori gem may be newish (it opened in September 2015, so be snappy before waiting lists get too chocka), head Sophia Russell-Cobb is anything but: she’s racked up over 30 years’ experience at former stomping ground Ladbroke Square. ‘It’s a slice of magic,’ emails a mother, with heaps of dancing, singing, and muddy knees from all the den building and creepy-crawly hunting; breezy classrooms have a direct passageway through to Kensington Memorial Park. Much-adored school dogs Liffey and Mojo get a starring role in the Nativity and parents praise the ‘warmth and welcome’; ‘There’s no shovelling out the door,’ one assures us. Make sure you give @pangbournehouse a follow, not least for the joyous shots of hatching chicks and mud pies. One mother told us that sending her children to Pangbourne House is ‘the best gift I have given, and will probably ever give, them’. Today’s children are tomorrow’s ‘global citizens’ – no pressure, Mummy, but if your child is monolingual, they’ll be at a disadvantage when they pitch up at the Job Interview of the Future. If you’re already behind the curve on this one, you need Phileas Fox. Children spend half their time here learning in English, the other half in Mandarin, French or Russian, through a gentle combination of structured activities and free play. The setting is a gorgeous standalone building in Little Venice – ‘beautiful, warm and welcoming’, says a mother – with high ceilings, natural light and a lovely outside play area, and hooray, it’s all ‘spotlessly clean’ too. Families are, we’re told, ‘elegant, educated, upper-middle class’, but also ‘friendly and engaged – everyone says hello/bonjour etc at drop-off and there was a good turn-out for Christmas drinks.’ Alumni hop on to the Hall, Wetherby and Pembridge Hall, among others. Register ASAP (but not before birth) – the waiting list is growing as you read this. There are now four delightfully spruce nurseries under the Pop-ins umbrella, all kitted out with bunny aprons and Beatrix Potter wallpaper. ‘Walking into Pippa Pop-ins is like walking into a dolls’ house,’ says principal Miss Rachel. Each one is housed in a lovely townhouse with a garden and its own chef (the food is yummy – think beef casserole with dumplings and goat’s cheese tatin). The staff are ‘truly fantastic’ says a mother, and tend to stick around for years. The little ones learn in small classes and are clued up on computing and French before they head off to the likes of Thomas’s and Wetherby. Expectant couples can register before birth, but parents ‘must feel comfortable in doing so’, explains the nursery – there is a waitlist and places are offered on availability of sessions (mornings are the most popular). Children are kept busy with football, yoga and tennis, and very grown-up trips to the Science and Natural History museums, the London Eye and Fulham Palace. Sports day must ‘be seen to be believed’, says a parent. ‘We do things the Willow way,’ reports a mother. ‘Good manners and kindness at all times.’ We wholeheartedly approve. Home is a ginormous church hall in leafy Grafton Square (with a proper stage; ‘infinitely creative’ heads Caroline and Virge write the Nativity from scratch each year), and there’s a small Astro out back for bursts of (non-muddy) fresh air. There’s a tip-top balance of proper messy fun (lots of sticky handprints when we visited) and serious nurture: this is the first nursery in the country to run the US-led RULER programme, which encourages children to talk about their emotions using colour. Praise abounds for its ability to tame the most devilish toddler. It’s mornings only, and it helps to register at birth but, reassuringly, ‘not before the child is born!’ Most come through word of mouth, and parents are ‘an eclectic bunch’ of bankers and creative types. Says one parent: ‘My son has learnt the most important lesson of all: a love of school.’ Newsflash: Willow on the Farm opens in the Cotswolds this term, promising plenty of mud rolling and tractor rides. Family-owned and -run, Woodentops nurseries are an SW staple. The original is nestled right by their own prep school: the White House in SW12, a Grade II-listed villa designed by Thomas Cubitt with half an acre of gardens. The newest member is in SW4, a stone’s throw from Abbeville Road and the Tube. Days are jam-packed at both nurseries and it’s 8am-6pm only. There is stacks of messy play, and we love the sound of the fairy gardens and mini-beast hotels. Parents are viewed as ‘partners’ and praise the ‘friendly but firm’ staff; any tears from bereft mummies are banished with a comforting hug in the nursery office. ‘Teachers have gone above and beyond to get to know my son and his funny little ways,’ says one mother. Registration is at birth and there are 15 applications for every place – be ready with your forms, it’s first come, first served. Woodentops, pretty please will you open a third nursery? Parents can pop their babes into Bonnington House at just 12 weeks, but nervous mummies needn’t panic: one tells us it’s ‘just like leaving your child with old friends’. Old friends with a huge Georgian pad, that is, set on the edge of Victoria Park, with a forest for frolicking, treehouses for climbing and even a river. It’s every bit as lovely as it sounds. Inside, sunny rooms are split by age group, each child has their own dedicated mentor and staff ‘demonstrably love their job’. There are waiting lists; places for under twos are in highest demand, so it’s worth registering early. Lunch is harvested from the veg patch and the 8am-6pm hours are a godsend for frantic working parents (who rave about the sparky social scene). ‘We’ve been totally wowed,’ says a mother. This is one of seven nurseries in childcare guru Sarah Steel’s Old Station Nursery group. Walk through Filkins’ wooden gate and you are greeted by guinea pigs Tom and Jerry, quails and chickens (names unknown). ‘I couldn’t believe I’d found such a fabulous nursery for my daughter,’ says a mother. It’s in a lovely rural setting, with a summer house for story-reading and a big field. Every week, whatever the weather, children wrap up and head outside for scavenger hunts, bulb-planting sessions or forays in search of mini-beasts – there was even a bear hunt (they didn’t find one). We love the sound of the daily ‘dough disco’ finger-gym sessions, which build strength in little digits to help with pencil grip. 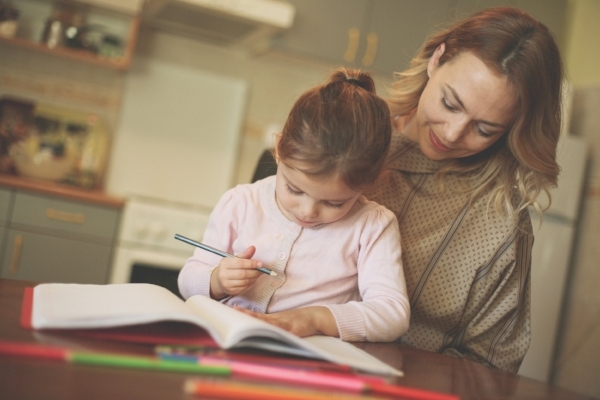 Parents are kept up to speed via an online learning journal – ‘It’s lovely sitting at your desk at work and getting a notification of what they’re up to,’ says one. Every mother’s dream: a nursery that is open 51 weeks of the year, 8am until 6pm, for children from three months to eight years old, with an after-school club and ad hoc sessions available during the long school holidays – and no waiting list. ‘The flexibility is amazing,’ says one parent. ‘As soon as we walked through the door, we knew it was the place for our daughter.’ The long-serving staff are ‘priceless’ – one small pupil we spoke to calls them her ‘girls’. Children move between five age-related rooms, which are lovely, light and big (‘especially after London nurseries’, one mother comments) and there’s a ‘brilliant’ garden with bikes for pedal practice and a mud kitchen. Three- and four-year-olds learn Spanish, and there are lots of music and dance sessions, as well as trips to local parks to feed the ducks, to nearby farms and to the library. ‘My children are happy when I drop them off, and happy when I pick them up,’ says a mother. a charming little nursery school, walls papered in imaginative art works, with cheerful, articulate, enthusiastic staff, next to a smashing primary school with an Ofsted Outstanding rating. (The Friends of Boxford raised enough money to build the primary school an indoor swimming pool.) There’s a lovely garden where children plant vegetables, a huge sandpit and water-play area, and a well-equipped kitchen – ‘Messy play is positively encouraged.’ And hurray, say working parents, they also run a breakfast club from 7.30am and after-school club until 6pm. Most children hop across to the primary school – when it’s this good, why wouldn’t you?